Italy's Interior Minister Matteo Salvini said that Malta should take in the 226 migrants and arrest the crew. But the Maltese leader responded defiantly, saying: "We're a sovereign country and nobody should dictate what we can and cannot do". A similar case earlier this month led Spain to accept 630 migrants. Both Italy and Malta refused to allow the migrant rescue ship Aquarius to dock in the previous incident, before the Spanish port of Valencia intervened. The Lifeline, which is operated by German charity Mission Lifeline, picked up around 230 migrants in the Mediterranean on Thursday. The charity said on Saturday that the ship was in international waters to the south of Malta. However, the Maltese army says it is providing humanitarian supplies to the stranded vessel. Why is Italy taking hardline approach? Italy's new populist coalition government, which has taken a harsh stance on immigration, has warned that it will impound the Lifeline vessel, as well as another migrant rescue ship. 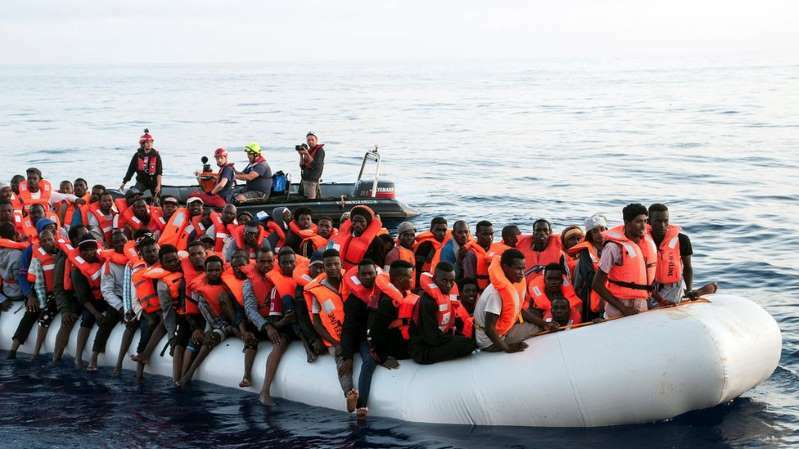 It accuses the Lifeline of breaking the law by taking migrants onboard, in spite of a warning by the Italian authorities that the Libyan coastguards were conducting a rescue operation. Are other migrant rescues under way? As the row over the Lifeline continues, other migrant rescues have continued. Danish shipping company Maersk Line said one of its container ships rescued 113 migrants off the southern Italian coast on Friday. However, the crew of the Aquarius claim that Maltese authorities have refused to allow it permission to dock at any of its ports in the future, regardless of whether or not it has migrants onboard, BBC correspondent Gavin Lee reports. More than 600,000 migrants have reached Italy's shores during the past four years. The new government says it plans to deport around half a million undocumented arrivals. Over 1,000 people have drowned while crossing the Mediterranean so far this year, according to the UN's refugee agency, with 220 people believed to have died in the space of several days last week.